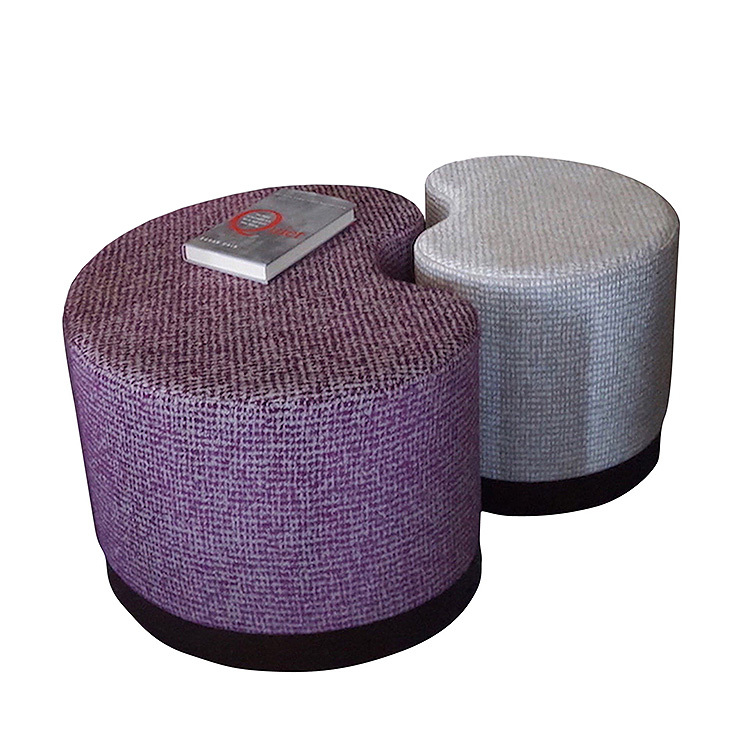 Kidney shaped upholstered coffee table/ottoman set (2 pieces)on wood bases that fit together in a Yin-Yang relationship with space between. Shown with walnut base & 2"-4" space between pieces. (width & length dimensions are approximate — space between each piece is at purchaser’s discretion). Available finishes: Base is available in walnut, oak, with medium brown or dark brown stain.